Why can't BCCI produce good umpires? New Delhi: Sundaram Ravi, an umpire on the elite panel of the International Cricket Council (ICC), is considered good by world standards. Just like all the umpires, Ravi also made some outstanding decisions and fumbled at times. Poor umpires now cannot escape their omissions and commissions as the television cameras catch everything they do out in the middle. It was cruel to expose Ravi failing to spot a no-ball off the last delivery of a nerve-tingling Indian Premier League (IPL) match between Royal Challengers Bangalore (RCB) and Mumbai Indians (MI) on Thursday. That one ball became contentious as an extra delivery could have given RCB a chance to win the match by hitting a six off the "free-hit". Things were made worse for Ravi as the giant screen in the ground pointed to the no-ball and replayed it over and over to magnify the blunder. Ravi is not the only umpire who failed to spot a no-ball because of a variety of factors such as the bowler's run-up, his jump and the delivery stride smudging the bowling crease. It is not to justify the mistake, but one bad call cannot be decide the competence of an umpire. When action-replays were introduced, the highly respected former India captain and international umpire Srininvas Venkatasraghavan once told the Australian media that the camera was not in the right position to judge a leg before decision whereas the umpire was since he was the nearest to the action. Should the Indian cricket board or the IPL Technical Committee take penal action against Ravi? Not many are in favour of that because if action is taken against the best umpire in the land, who had an off day or as Steve Smith might put it as "brain fade", what about the scores of umpires whose incompetence goes unnoticed right through the cricket season at different levels? The worst affected by erroneous umpiring are the cricketers at junior levels as their careers get badly hit. What about action against the RCB skipper Virat Kohli, who made a spectacle of his disgust publicly for the cameras to pick? The point here is will the match referee report the captain's behaviour to the authorities? Even the winning captain, Rohit Sharma, went along with Kohli as if to sympathise with his India skipper, pointing to the other umpire for calling a legitimate delivery a wide in the previous over. Do these great men take bad decisions in their strides without a murmur only in Tests and ODIs where the match referees are made of sterner stuff? At the end of it all, when one looks back at the way the umpires come through the selection process and the manner in which the postings are being made, it is nothing but a racket. Like academic examinations in some parts of the country, the umpiring tests are also marred by the leaking of theory papers and recommendations from powerful officials of the cricket board for candidates from their state units. The appointment of match referees, umpires and coaches/supervisors for first-class matches doesn't appear to have had any positive impact. Umpires continue to make awful mistakes and get away with the help of the state officials. A chairman of the board's umpiring panel got some nincompoops from his state promoted through the rungs and they are getting away with murder. His promotees include an umpire who failed the hearing test. 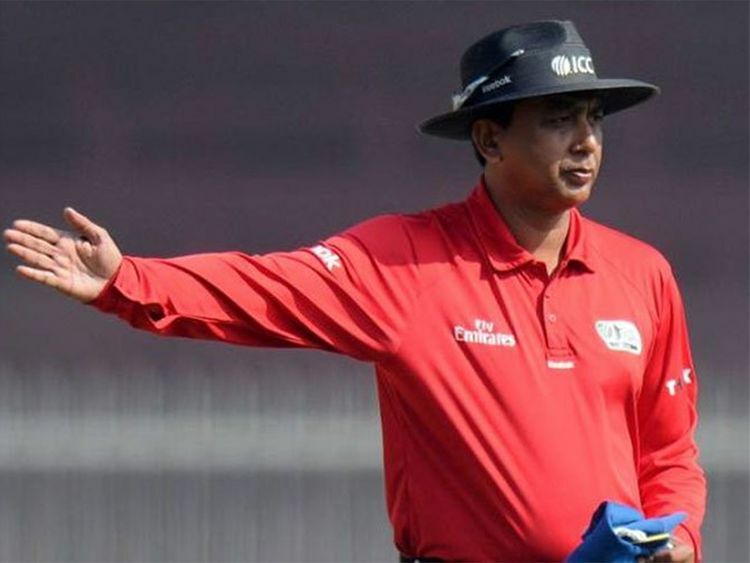 One umpire, because of his proximity to the key Board of Control for Cricket in India (BCCI) officials, used to threaten the match referees against mentioning his goof-ups in their reports. Another well-known international umpire made dozens of mistakes in a Ranji Trophy match, from leg before and caught-behind to run-outs. All he did was to plead with a board official to leave him with just a rap on the knuckles. Neither the board officials, nor the media take junior cricket seriously as none of these matches are watched by anyone except the players and their parents, who are sometimes accompanied by goons who ensure that their favoured players are helped by the umpires. Frankly, there are not enough umpires, leave alone qualified ones, to supervise the matches. And even the good ones are often under the pressure to please the powerful in the cricket board.